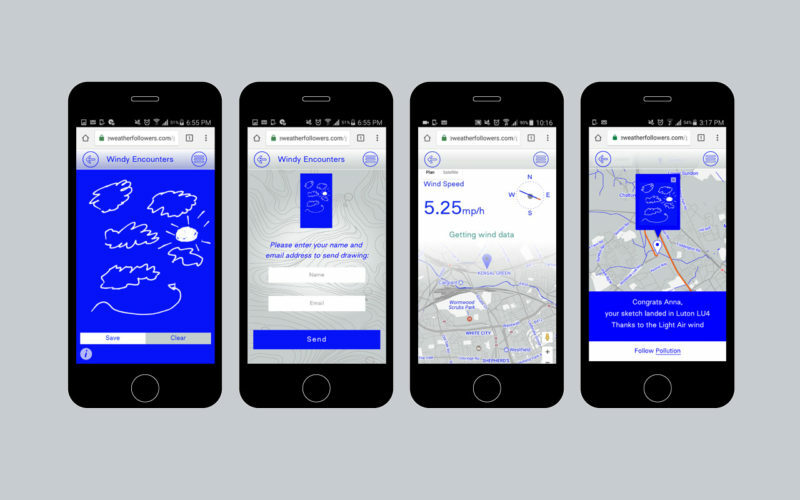 Created by David Colombini as part of his diploma project at the Royal College of Art (IED), The Weather Followers is a commentary on ‘smart’ applications and predictive, comfortable digital routines. Instead of relying on ‘accurate’ data, intangible algorithms and hidden lines of code-driven lifestyles, the device brings serendipity to your digital life, using constantly evolving weather data recorded by four weather instruments. The Weather Followers helps us feel the speed and direction of the wind, the amount of particulate matter in the air, the intensity of the sun or the rhythm of the rain. Nowadays, ‘smart technologies’ give the impression that the power to control and predict any event is at your fingertips. Paradoxically, with the growing computational power of those tools, people are assisting to a reduction of their free will. Opaque algorithms of applications such as Google assistant, Alexa, Siri or other AI applications are increasingly influencing daily actions and decisions of their users, and are being called on to make choices without necessarily asking consent, moving away from suggesting what the user might like to taking “the best” decisions. These apps are meant to optimize life, suggest (and sometimes automatically renew) the most efficient options or provide the most convenient solutions. The downside of placing trust and wholeheartedly relying on algorithms is that some users become accustomed to a comfortable (digital) routine, leaving a minute space for experimentation, randomness, serendipity, spontaneity or simply for being surprised by life – elements, which are, in my opinion essential and rewarding. 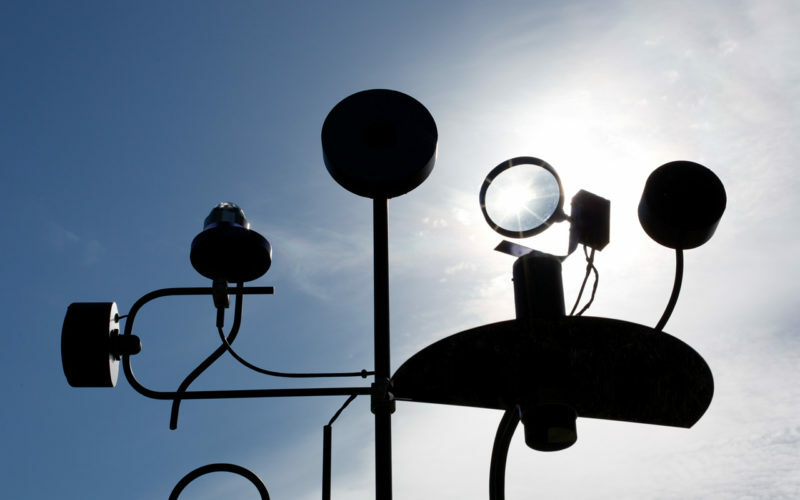 The constant variations of weather are at the opposite end of the spectrum to the algorithmic organisation of life. This natural phenomena brings us unexpected changes and may surprise us everyday, for better or worse. Thus it also it a strong – sometimes unnoticed – influence on our daily mood, health or morphology. 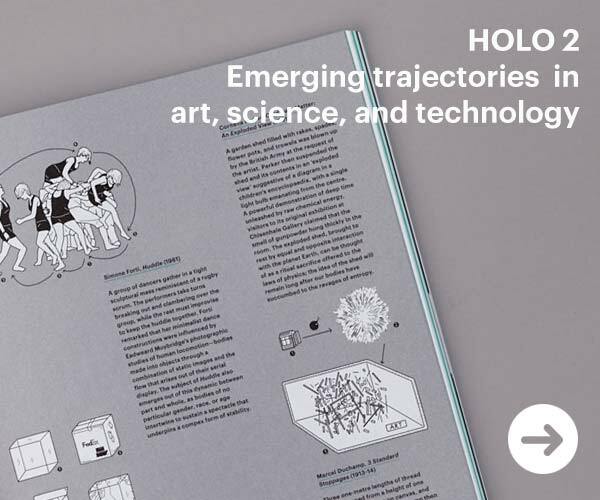 Even if it becomes more accurately predicted and technically possible to alter (although ethically questionable), it remains one of the few natural elements which is not fully controlled or mastered in real time, neither by humans nor technology. Inspired by the book «Les Baromètres humains : comment la météo nous influence » by Gilles Brien (link), the essays of French writer Eric Sadin (“La société de l’Anticipation” and “la siliconisation du Monde”) (link), the sculptures of Jean Tinguely and meteorologist architects Philippe Rahm, this project uses humour and poetry to propose an alternative to conventional digital applications. The exchange of messages, the capture of a selfie or the deletion of digital files are at the mercy of the fluctuations of the weather, bringing both positive or negative experiences and potentially the unexpected to our digital life. 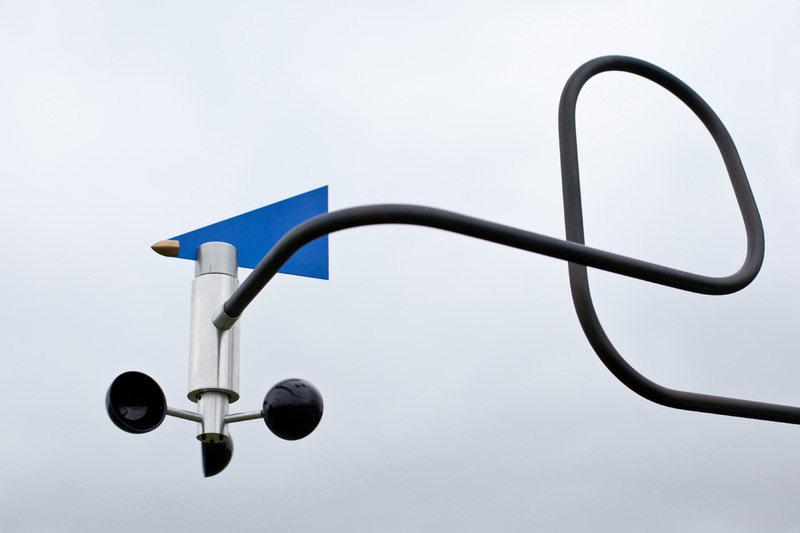 ↑ Windy Encounters is a weather instrument creating random encounters depending on the uncontrollable direction and speed of the wind. 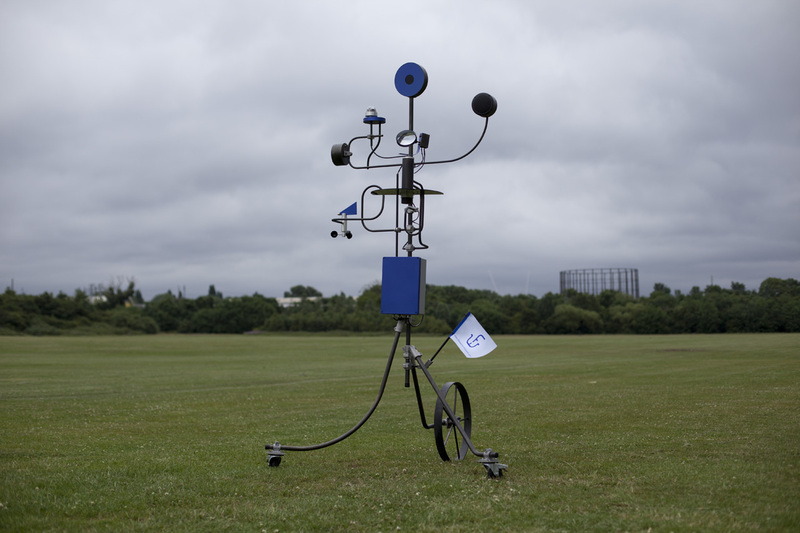 The sculptural object measuring wind direction and speed is connected to the webapp inviting you to share your name and draw a sketch of the weather above you. 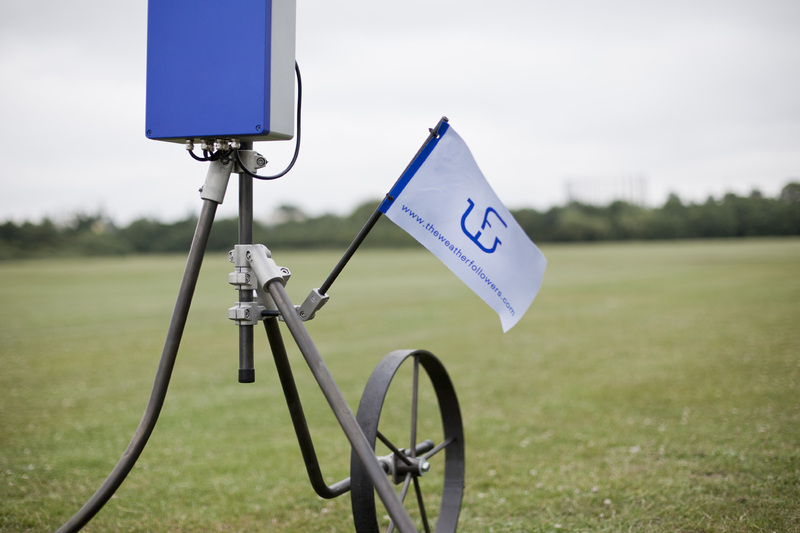 Your drawing will then digitally travel across a map of the world, according to the speed (defining the length of travel) and direction of the wind calculated in real time by the device. 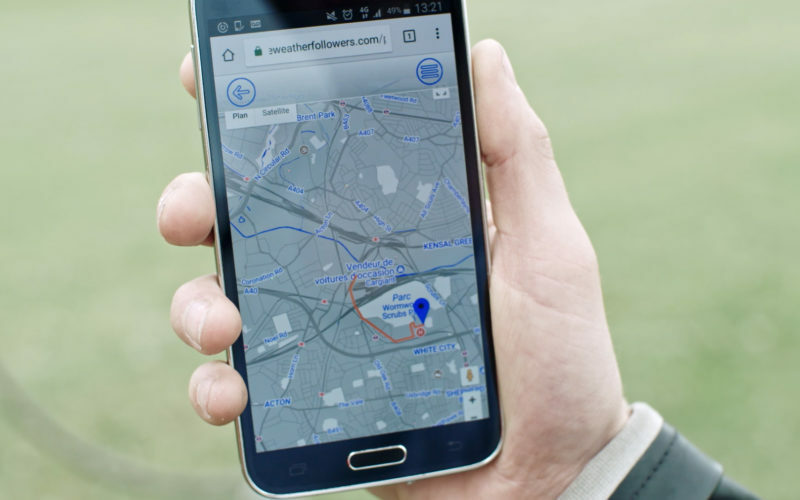 When someone using the same app is in close physical proximity to where your sketch has landed on the digital map, your sketch will appear on their phone and they will have the opportunity to contact you by email. Unlike apps such as “Pokemon Go” the landed sketches are not generally visible on the map by its users. Only by approaching the sketch’s location will reveal it to you. 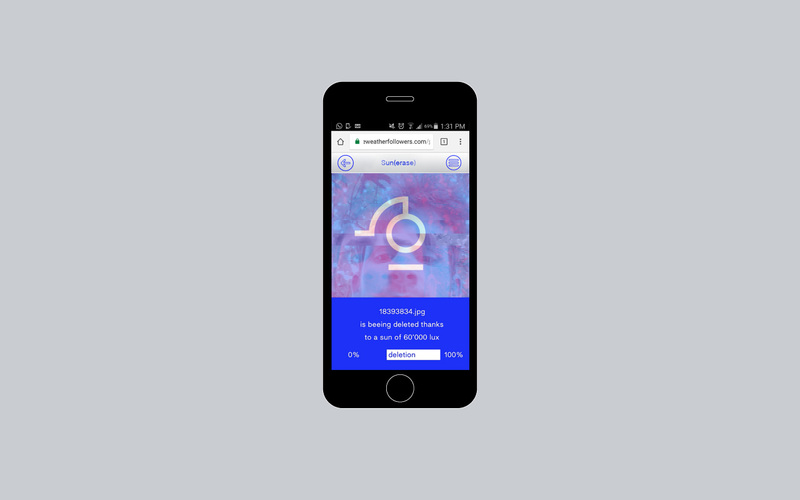 Whilst Windy Encounters is also not meant to be a dating app, it questions and critiques the “matching” mechanisms employed in applications like Tinder, which suggest certain people to you according to a black box of formulae. 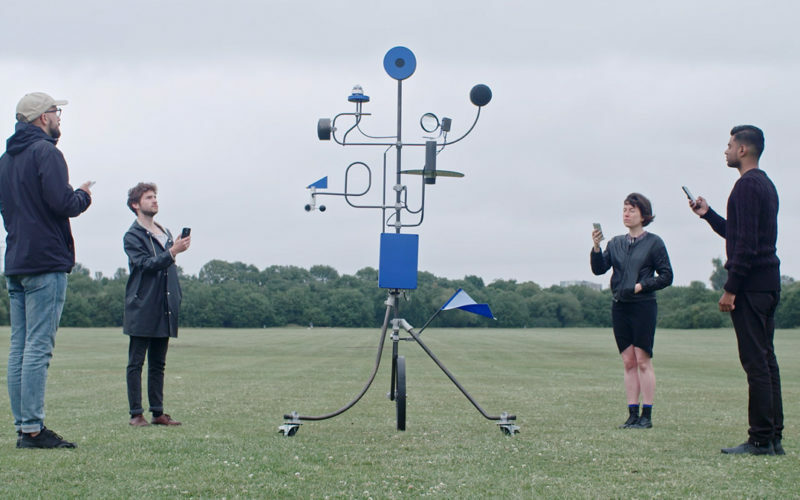 Thanks to the wind vane and anemometer of Windy Encounters, people can see and feel the breeze which will define the digital journey of their sketch. 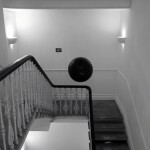 Different to David’s previous project: Attachment, Windy Encounters will allow a wider audience to experience serendipity in their digital life. 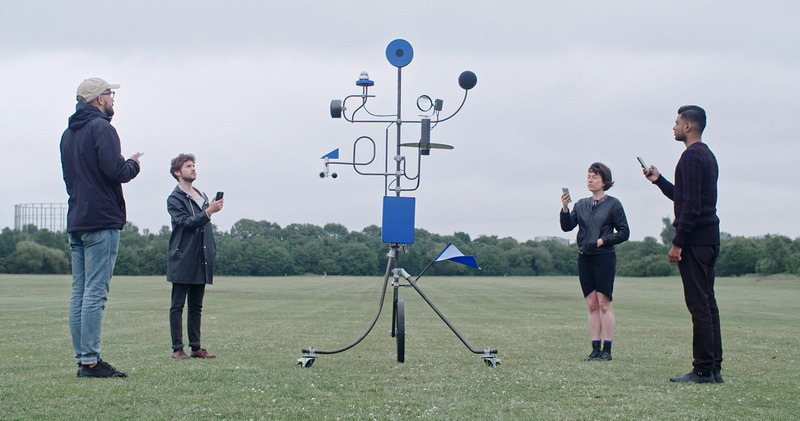 ↑ Polluted Selfie is a small weather instrument that allows you to take an unexpected “polluted selfie”. 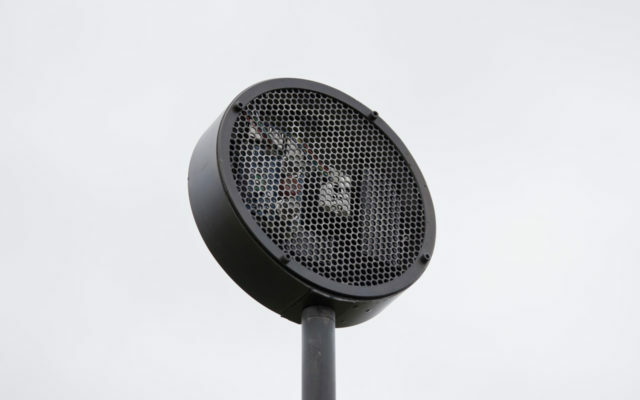 A filter alters the appearance of an image depending on the surrounding level of pollution recorded in real time by the device. Instead of letting you show your best angle or improve your selfie with a shiny light Instagram filter, with Polluted Selfie the way your face is shown is affected by the levels of two main air pollutants (PM and CO2), each affecting a different parameter of the image (The PM10 are affecting the glitch level while CO2 is changing the color of the image). As a result, no single “polluted selfie” should look the same. Polluted Selfie also makes a link between the atmospheric and digital pollution. 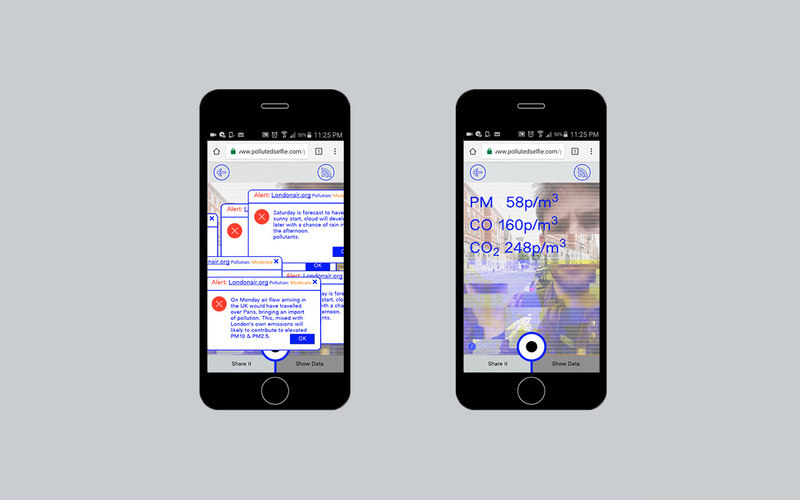 Depending on the average level of Pollution coming from Londonair.org.uk your selfie will be digitally interrupted by a number of pop-up windows displaying the daily pollution forecast narrative taken from the London Air Forecast website. Adopting an aesthetic inspired by Net Art, glitch and computer viruses, Polluted Selfie asks what it means to be digitally polluted. 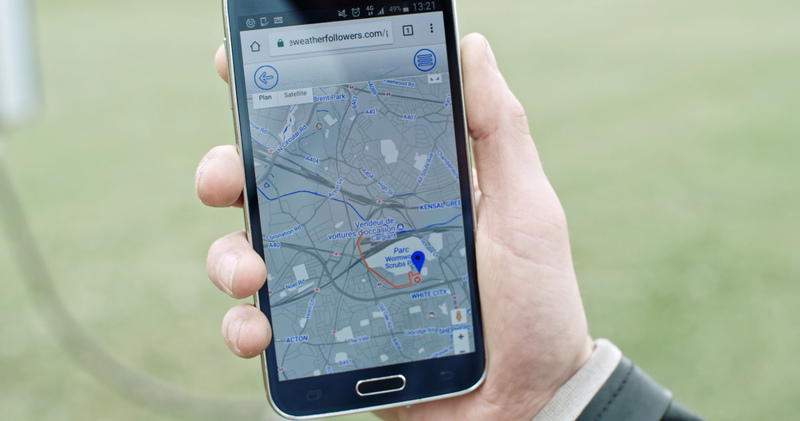 Polluted Selfies allows citizens to act as environmental activists by sharing (on social media) their images, which indicate levels of pollution and their location. For instance, a citizen walking in Oxford Street, London (one of the most polluted streets in Europe) could share their very glitched selfie on social media raising awareness of the unacceptable level of pollution in that particular area and connecting this personal experience of pollution to larger campaigns about improving air quality. 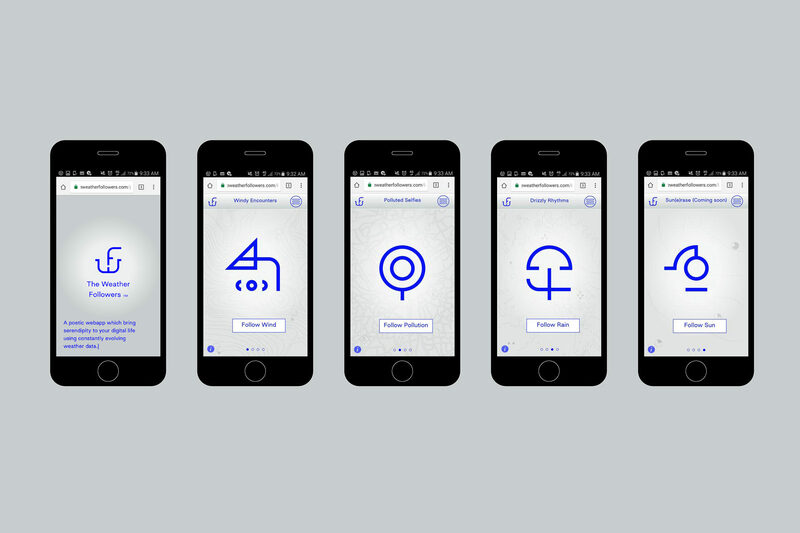 The project won recently the App-Art Award in category AppARTivism at the ZKM in Karlsruhe, Germany. Test it on an Android phone: www.pollutedselfie.com. 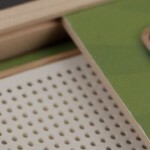 ↑ Drizzly Rhythms plays unexpected music according to the rhythms of the rain. 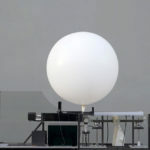 An optical rain sensor calculates what we can call the DPM (Rain Drop Per Minute), triggering a song from a user-suggested playlist with the closest BPM (Beat Per Minute). 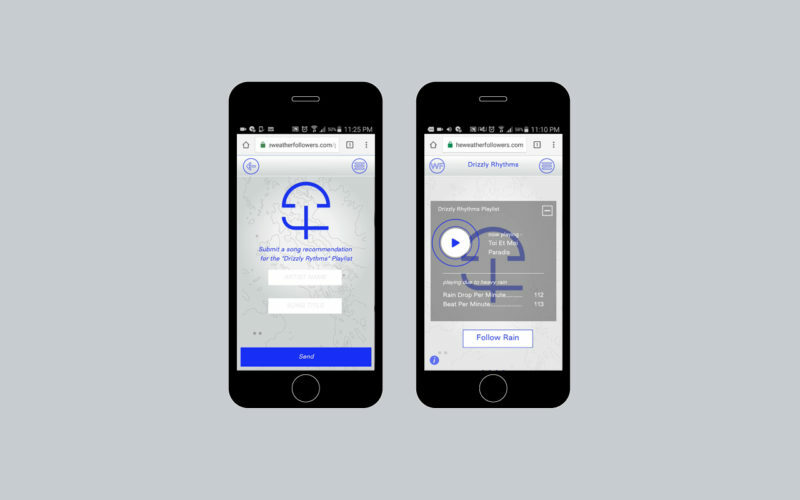 Unlike Spotify and Youtube that suggest music according to your past listening histories, consequently leaving you in your own filter bubble, Drizzly Rhythms will always surprise you and enable you to discover new music. 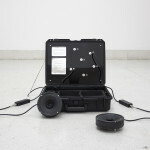 For instance, heavy rain would trigger a Drum and Bass track while a gentle drizzly might play an easy listening song. 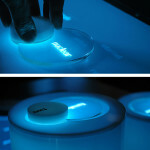 ↑ Thanks to it’s lux sensor, Sun(e)rase will apply digital minimalism to your life. The stronger the sun intensity will be, the more data from the “climatefeeds” will be deleted. Like a Snapchat message, before fully erasing the file, Sun(e)rease will give you the possibility to look at the photo on the app for 5 seconds as a last souvenir. 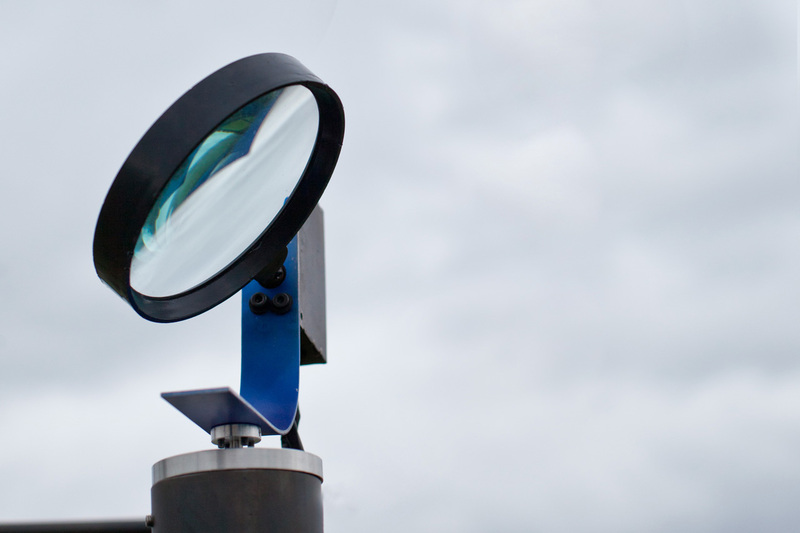 To emphasize physically the deletion, sun(e)rase contains a motorized magnifying glass which is activated when the light is strong enought. 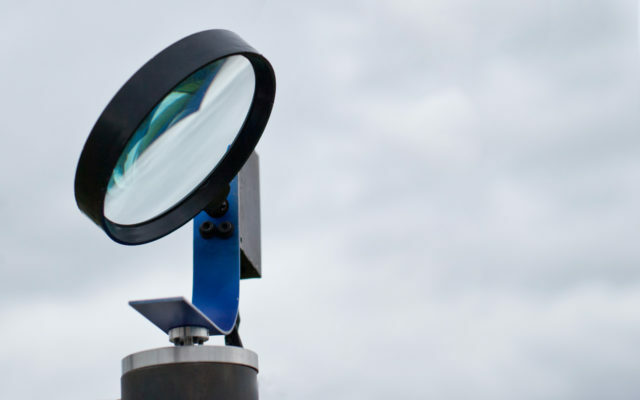 The lence is then automatically placed in the right position to condense the sunlight and “burn” the surface below it, turning its thermo reactive ink from a black to a blue color. 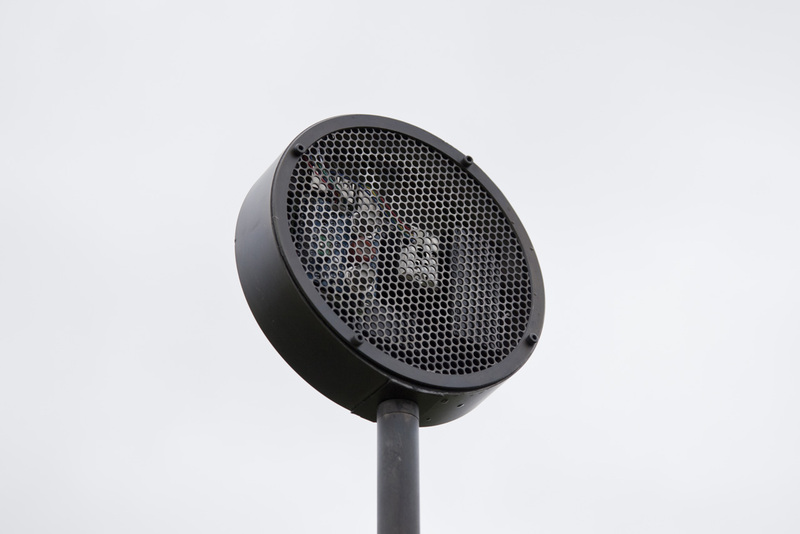 This action represents a metaphor of our digital – intangible – files being erased. The project also includes one other additional feature; The Climate Feeds. This feature will display some of the sketches found by people, the polluted selfies users are willing to share or the songs from drizzly rythms that have been played. Unlike the infinite scrolling feeds of social media, the climate feed will only display 5 “polluted selfie” and 5 sketches randomly taken from the entire database. 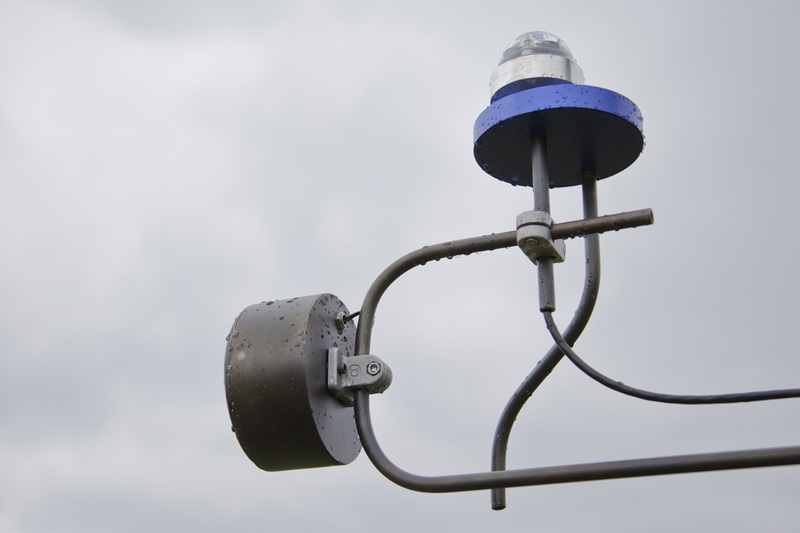 Currently the webapp and the sculpture are only available/accessible during exhibitions or festivals. 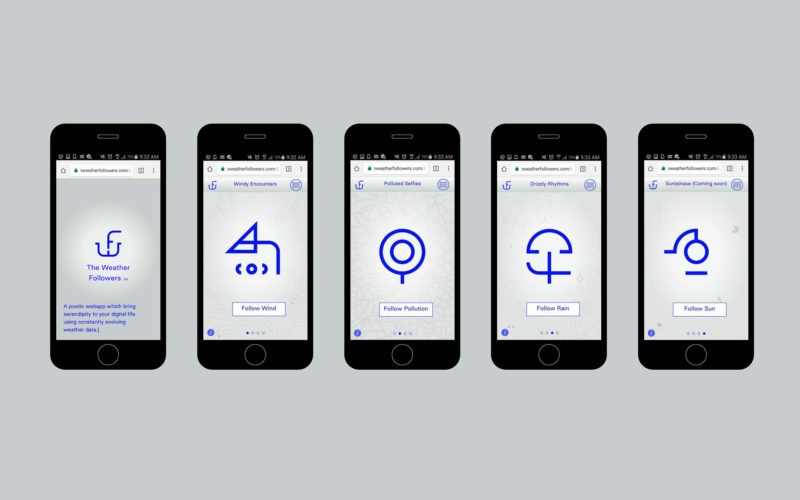 If you would like to try the webapp, send David an email at hello@fragment.in. (Weather sensors, Pollution sensor Sensly, Raspberry Pi 3, Raspi Camera, Arduino Mega), waterproof speakers, sound amplifier, power supply.